Visit Disneyland for the holiday season with Team Mousetalgia! Talented carolers, fake snow, beautiful lights and a touch of magic make the original Magic Kingdom an end-of-the-year destination not to be missed. Also, Kristen battles an annual passholders sale stampede, and a flashback to New Year’s Eve in ’67! 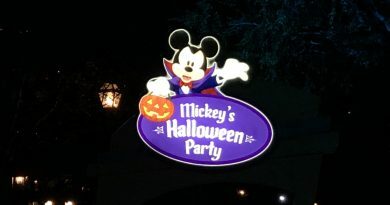 Mickey’s Halloween Party – A Frightfully Good Time!